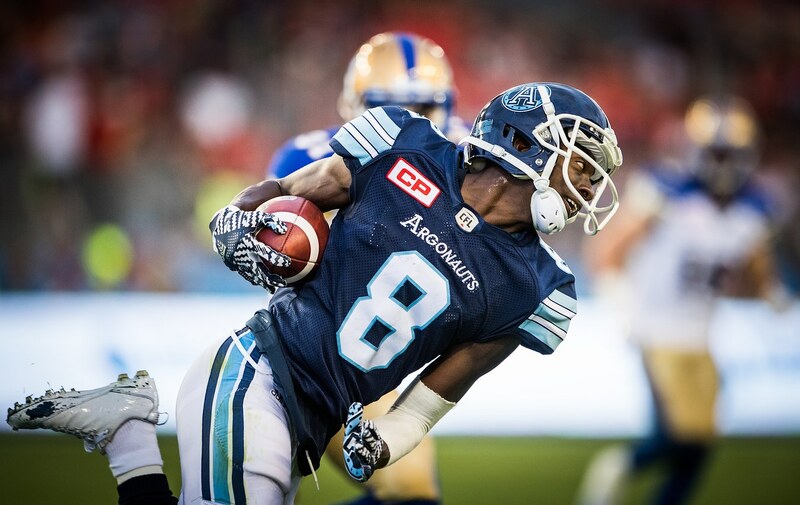 Home » Uncategorized » Argonauts 2017 Free Agent Outlook: All options are on the table. Argonauts 2017 Free Agent Outlook: All options are on the table. The Toronto Argonauts enter free agency with a very unique set of circumstances. As we all know the team is void of a permanent general manager and head coach. As the February 14 free agent window gets closer and closer the team is being led by interim general manager Spencer Zimmerman who last year served as an assistant under Jim Barker. Helping out in the process is the recently hired and former offensive coordinator of the Hamilton Tiger-Cats Tommy Condell whose title is that of “Special Advisor” on player personnel matters. With all due respect to both Zimmerman and Condell who are fine football men, and frankly I hope are being considered for permanent roles within the Argonauts organization, this current set up is less than ideal when trying to attract an unrestricted free agent who likely has a variety of choices at their disposal. Players want to know the direction of the club. Players also want to know their role within an offensive or defensive system. Can Zimmerman and Condell guarantee whatever promise they make won’t change once their potential replacements are brought in? It’s a tough call. Fortunately for the Double Blue the team is strong when it comes to one of the most expensive commodities on the market. Of course I speak of Canadian Talent. Throughout this off-season Toronto has done a good job locking up key Canadian players set to enter free agency but decided to remain in the Argo land. Specifically the offensive line looks set with 3 Canadian players, Corey Watman, Tyler Holmes and Chris Van Zeyl who have all signed extensions. Add National sophomore Sean McCewan starting at Center and Toronto looks to have a strong group at one of the CFL’s most important positions. The team didn’t just stop there. They also brought back National kicker Lirim Hajrullahu and RB/SB Anthony Coombs who in my opinion needs to become a more focal point in the team’s offense. Not only can he serve as ratio breaker, but he has shown an innate quality to make people miss tackles. The team will need more of that this year. So where should the Argos go from here? Do they blow the bank and bring in the top CFL free agents? That could prove expensive since the team doesn’t have a GM or Coach and is coming off a 5 and 13 season. Other teams have tried that and have failed. Can Toronto afford to swing and miss and create a perception that it’s a franchise players don’t want to play for? Then again the team is coming off a 5 and 13 season so it does need an infusion of elite level talent. Add to the fact that you have to believe the organization is looking to reignite some enthusiasm on to not only the team but its fan base. And oh yeah, players want to cash in as often as they can, so if Toronto shows them the money the players will show them the love. So would signing say a group that includes WR Ernest Jackson, DB Emmanuel Davis, and DT Micah Johnson even if that’s financially possible be their best option? The simple answer in my opinion is; not sure. Again, many teams have tried that and failed. Also does anyone remember the last time Calgary signed the most prolific free agents on the market? How’s it worked out for them? Defensively Toronto gave up the most points in the league last year so look for a couple of signings. Their secondary needs tons of help even if the team brings back boundary corner A.J. Jefferson. The defensive line could also use a boost because outside of Shawn Lemon the unit didn’t pressure opposing quarterbacks enough which in turn would make life easier for the secondary. Offensively I would assume the Argonauts are going to look to add a couple of play-making receivers. Both Kenny Shaw and Diontae Spencer are still available in a receivers market that is flush with talent. The team can afford to be patient for a while on that front but even with a return of Shaw and Spencer they are going to need another piece. We can all list good players, known commodities that will make the team better, again the issue will be the price, how they fit under the cap and do they want to be an Argo. Last year the Argonauts started two Canadian rookies in Brian Jones and Llevi Noel. Both players showed flashes of being contributors down the road and are excellent depth options. But the team needs to be careful not to overwhelm young guys who could use some seasoning especially with potentially so many experienced free agents currently on the market. What I suspect will happen is that Toronto will swing and miss on some players they target and at the same time announce a signing that will likely turn some heads around the CFL universe. For the good of the team and the wish of every team that operates under a cap system, the hope should also be a signing that doesn’t cost much but provides a tremendous value in terms of production. Thats where GM’s and Scouts really earn their pay. There are many questions surrounding the team on February 13, hopefully February 14 will provide some answers. 1 Comment on Argonauts 2017 Free Agent Outlook: All options are on the table. Good article as always. I’m not sold on Coombs – would like to see more of Jones, Noel. Jackson is from Rochester, team-mate of Willy at UB; could be a good fit.